A thorough assessment of your current HVAC system usage habits. To best determine the right HVAC system solution to meet the unique needs of your family or workplace, we take time to discuss with you your usage patterns so we can match you with just the right unit. Timely follow-up shortly after your installation to ensure your system is running properly and you are happy with your new unit. Unprecedented, best in the industry warranties on the equipment we offer. So, you can rest assured that in the event of any future issues, you are totally covered. We take time to walk you through regular maintenance tips to keep your unit working efficiently to maximize your comfort and energy savings. Don’t feel comfortable performing maintenance yourself? We’re happy to schedule maintenance visits as needed from an expert Figlia & Sons team member. Figlia & Sons is proud to provide a wide spectrum of HVAC installation services to customers in the NYC Metro. We have the skills and equipment to perform installations of PTACs, water source heat pumps, window units, and more. For over 50 years, we’ve been a trusted provider of speedy installations that meet the specific needs of each customer. 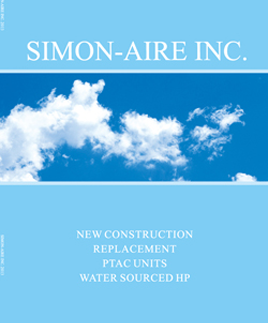 Figlia & Sons stocks all Simon-Aire unit models for immediate delivery and installation. All the Simon-Aire equipment comes with an unprecedented, best in the industry, warranty: 2 years on all parts and labor and 6 years on the compressor part only. Figlia & Sons stocks a wide variety of window air conditioners from top manufacturers. We provide 12 months parts & labor warranty on the installation of all new window units. How Much Does HVAC Installation Cost with Figlia & Sons? Square footage: one of the most important factors that inform the cost of your HVAC installation is the square footage of your space. Some home layouts are naturally cooler, while others require more assistance for heating and cooling. We’ll conduct a full assessment before making a recommendation on what solution is right for you. Age of building: Whether your home is a new build or is being retrofitted with a new HVAC system is a factor in the overall price of installation. In some cases, new wiring, electrical panels, ductwork and mounting are needed during installation which is factored into the overall cost. Model of HVAC system unit: The model of HVAC system we match you with is another factor that determines the cost of installation. No matter what, Figlia and Sons always aim to find a solution that will meet your expectations while also fitting comfortably within your budget. Figlia & Sons customers trust our experienced team because we are completely committed to putting our customers first. Before every installation, we provide a thorough assessment of your needs while always keeping your budget in mind. Our heating and cooling experts are knowledgeable and happy to answer any and all questions you might have throughout the installation process. The best part about HVAC installations from Figlia & Sons is that they are done efficiently, without sacrificing quality. With three warehouses and service centers located in Manhattan, the Bronx, and New Jersey, we have just what you need on hand. We have literally thousands of PTACs, water source heat pumps, and window units on hand, enabling us to perform installations must faster than other companies in the city. In fact, we regularly perform next day installations to customers for their homes, hotels, hospitals nursing homes, construction developments, and more. Our knowledgeable heating and cooling experts are standing by to discuss your HVAC system needs and schedule your installation. We have the most reliable NYC HVAC installation process and products that will keep you comfortable year round. Visit our contact page to fill out an online form, give us a call, or send us an email and we’ll be in touch in no time.